On Tuesday 18 April, I headed over to the offices of Bonnier Zaffre, near Oxford Circus, to chat to Ayisha Malik. 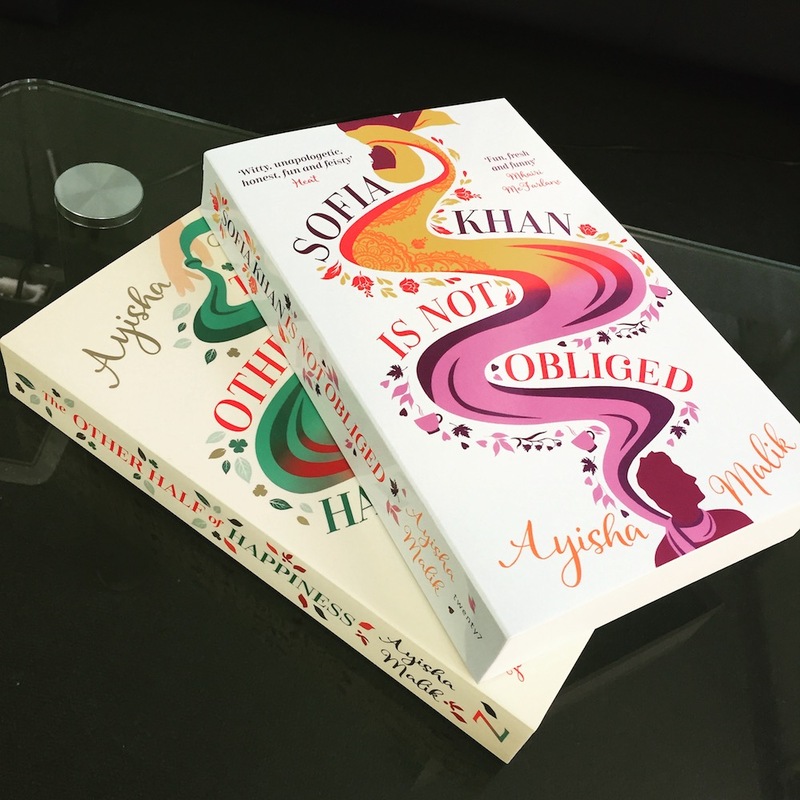 I very much enjoyed reading her books Sofia Khan Is Not Obliged and its follow-up The Other Half Of Happiness. The novels follow the story of Sofia, a Muslim Bridget Jones, as she swears off men, then ends up entangled in an unexpected romance, all while trying to write a Muslim dating book for the publisher where she works. I chatted to Ayisha about the books and characters – although we didn’t go into too much detail to avoid spoilers – as well as her inspirations when writing, her writing ‘process’, and what she’s got coming up next. She even gave me some reading recommendations too. At these links, you can buy Sofia Khan Is Not Obliged and The Other Half of Happiness. Ayisha also helped to write The Secret Lives of the Amir Sisters, with Nadiya Hussain – buy it here. Episode 182. An Adventures With Words production. Hosted by Rob Chilver and Kate Neilan.